At Alert Construction, we specialize in repairing and upgrading crawl spaces of all shapes and sizes. We install vapor barrier systems, crawl space insulation, drainage, sump pumps, structural supports, and much more! To schedule a free crawl space repair quote, contact us by Why Should You Seal & Insulate Your Crawl Space?phone or e-mail today! It’s easy for moisture-laden air to find its way into an unsealed crawl space or basement. Rim joist joints (shown here) are just one way. Once there, it cools and condenses – leading to ruined fiberglass insulation, unhealthy mold, and rot-causing fungus. 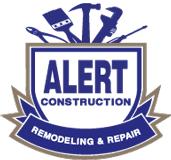 At Alert Construction, our experts work with you to create a warrantied system that meets all the goals you've set out to accomplish. Before we leave, we'll provide you with a written crawl space repair quote that lays out your system and shows the cost in black and white.